Elks are part of The Dictionary Project. As an Elks charity established to assist 3rd graders in learning to read, this project has spread from a small town where it began to a national program–and the Elks are both serious sponsors and presenters. 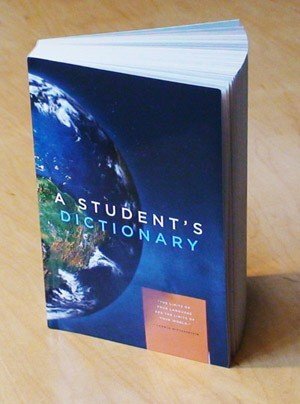 In fact, 2,398,506 dictionaries were given to students in 2011 and overall, 17,145,332 children have received a dictionary to date. The California-Hawaii Elks Association is proud to be an active contributor of time and resources to The Dictionary Project. The goal of this program is to assist all students in completing the school year as good writers, active readers and creative thinkers by providing students with their own personal dictionary. A hopeful literacy project that will encourage kids just learning how to read, the appropriate reference book they’ll need to stay on track and grow. An opportunity to be involved in a hands-on project that doesn’t involve a great deal of time. Relatively inexpensive to your Lodge. An opener of doors into the schools of your community, paving the way for other youth projects–Scholarships, Essay Contests, Scouting, Hoop Shoot, and more. Lends itself to media coverage to let the community know of the good works Elks do, and of your concern for our Nation’s young people. Remember: Elks Care, Elks Share.